Applications are now being invited for the Crawford-in-Western Australia International Agricultural Student Awards! The Western Australian Committee of the Crawford Fund offers a small number of competitive travel awards for tertiary students. The purpose of the awards is to facilitate active student participation in international agricultural projects, in order to help them gain valuable experience in developing countries. The awards are open to Western Australian Honours and Postgraduate Students interested in gaining international agricultural research experience and expertise. Applicants should be in a relevant biophysical or socio‐economic aspect of agriculture, animal production, fisheries, forestry, natural resource management or food security. The award takes the form of a bursary (up to $3000) and is designed to augment funding from other sources—for example, agricultural research and development assistance projects being undertaken in overseas countries where the students intend to work and gain experience. The projects that the students plan to link with can be governmental, non‐governmental (NGO), commercial, or in association with a university. James Ridsdill-Smith, Co-ordinator of the WA State Commmittee said, “Erin Pope was the inaugural winner of this scholarship. 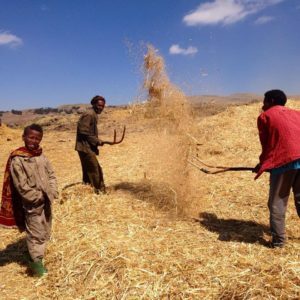 She travelled to Ethiopia to work on an CYMMIT wheat project. 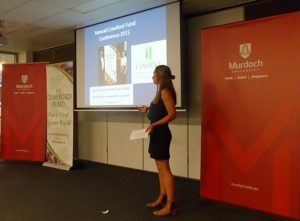 Since returning, she has presented at a Crawford networking meeting and talked to other students at Murdoch University about her experience”. Applicants should complete an application form and outline the expected benefits; benefits of the award could range from stronger linkages in research areas of interest to WA industry to the understanding of the application of technical knowledge to different agricultural systems. The closing date for award applications is COB Friday, 31 March 2017. Applications should be sent to: james.ridsdill‐smith@crawfordfund.org. Please note that our other Crawford Fund State Committees will be offering awards in the coming months and we will be providing information as they are launched.